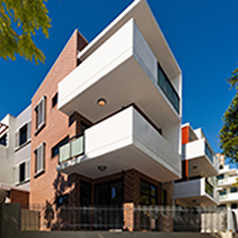 This guidance describes how to create a well-designed residential neighbourhood. There are many factors to be considered in the design of a neighbourhood, including stormwater management systems, road hierarchy, lot size and shape and street design. These factors impact upon each other and collectively influence a development's final form. The interconnectivity of these elements means that neighbourhoods must be carefully designed. 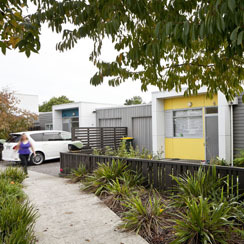 The guidance in this section applies to medium to large scale urban neighbourhood and subdivision developments, not rural or 'lifestyle block' subdivision or small scale infill. It also relates to land subdivision only, not internal building subdivision. These elements connect to or affect each other within any site, development or setting. 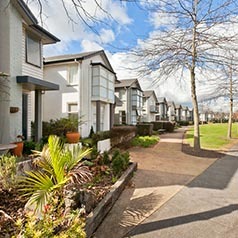 For each element, there is an outcome that every subdivision should aim to achieve. Together, these outcomes describe the multiple objectives that all subdivisions must consider. 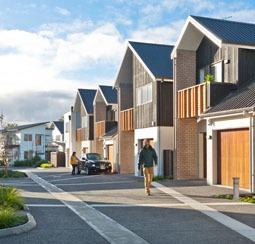 Other sections of the Auckland Design Manual also contain guidance relevant to subdivision design, especially the housing and park guidance sections. A design statement is a useful tool for informing the design of a proposed neighbourhood or subdivision. A design statement consists of detailed information about your site, and a detailed account of how and why your design decisions were made. The process of producing a design statement requires careful thought and analysis of your site from many different perspectives, and helps to achieve the best result for your site, the local area and Auckland.